Bakehouse bought a week of wondrous wizardry to Meadowhall Shopping Centre in Sheffield for the autumn half term in 2017, with all the events selling out in advance. 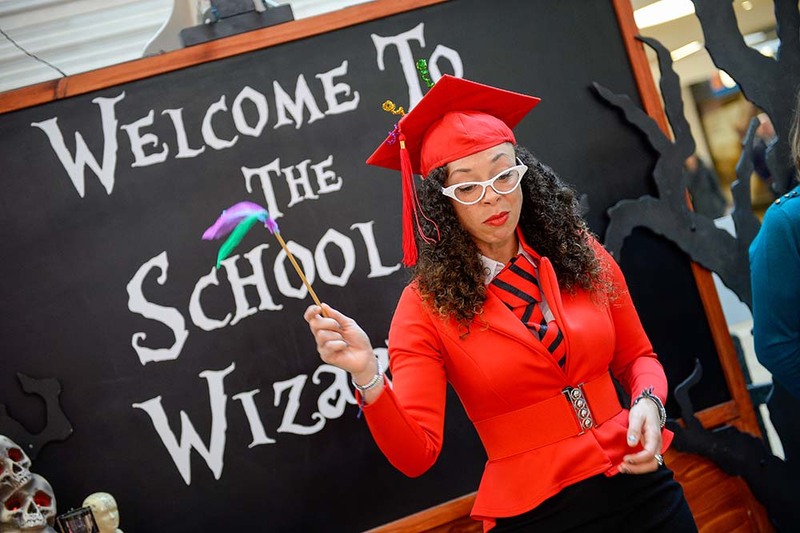 Our inspirational and quirky characters Professor Broomendale and Cynthia Spellswitch took the young wizards and witches through their paces so they could graduate with flying colours! Classes included wonky wand-making, fantastic flight school and super spell casting…they even turned our mad professor into a frog…fortunately the spell wore off in the end. The cherry on the top of this Potter-esque immersive theatre experience was a photo opportunity to share with friends and family. The newly qualified recruits climbed onto our free-flying broomstick, donned some natty props and had their moment as superstar pupil.